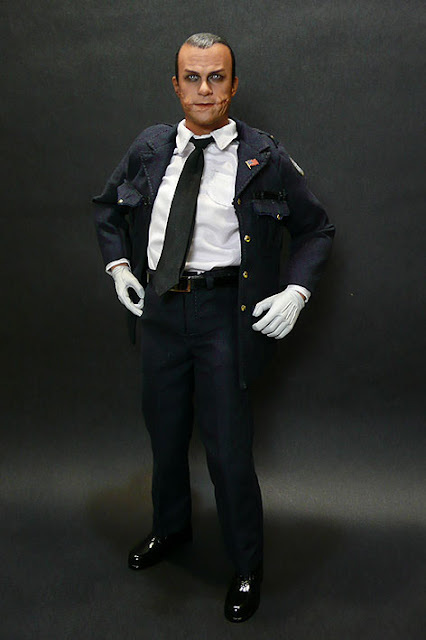 Let's start with THE JOKER as a Gotham City Police Officer. 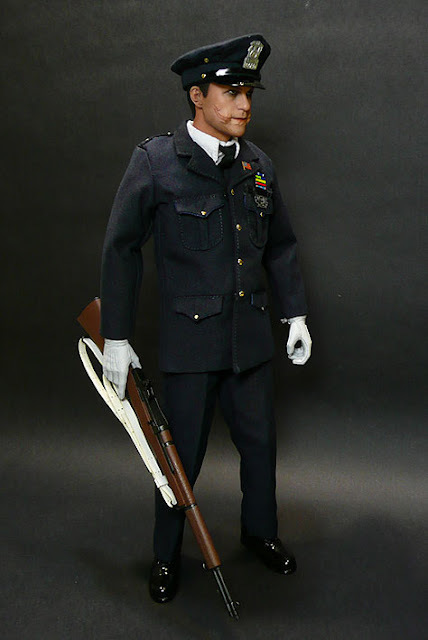 In the movie, this was where the Joker (Heath Ledger) and his men use M1 Garand rifles in the assassination attempt on the Mayor while disguised as the officers who carry out the 21-gun salute during the funeral of Commissioner Loeb (Colin McFarlane). 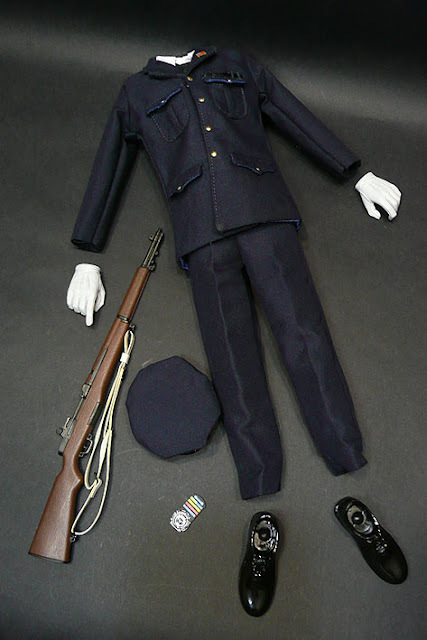 The Police Officer suit comes without the figure, only the head which we saw a little of in the previous post. 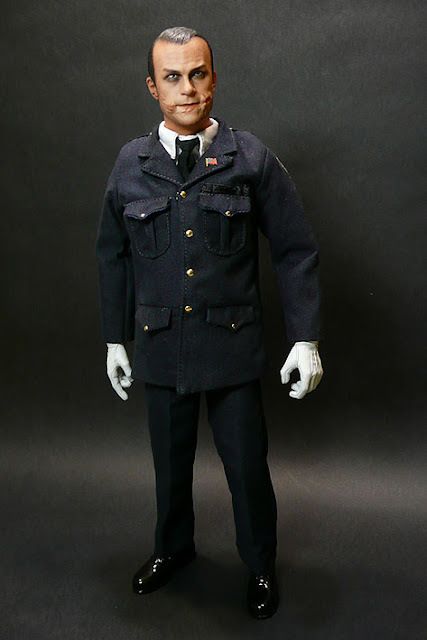 It includes the Gotham City Police Department hat, badge, white gloved hands and polished dress shoes. 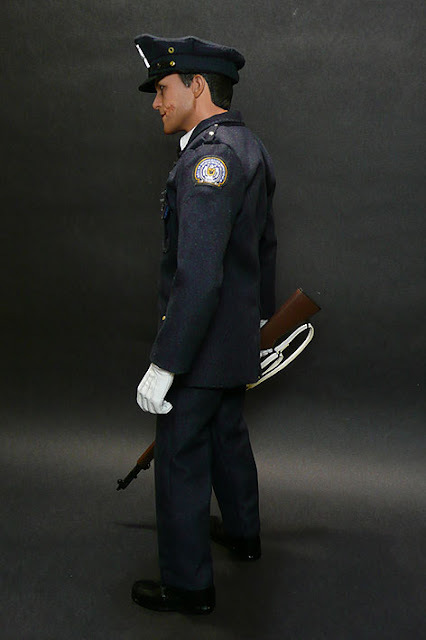 The police officer's suit (should be a police honor guard uniform since this was a special occasion) is really very well produced in 1/6 scale with very fine stitching and details such as the two-color blue tones of the jacket and brass buttons PLUS the white inner shirt with 1/6 scale buttons (the shirt is sewn shut at the collar), black tie and pants with belt and buckle. 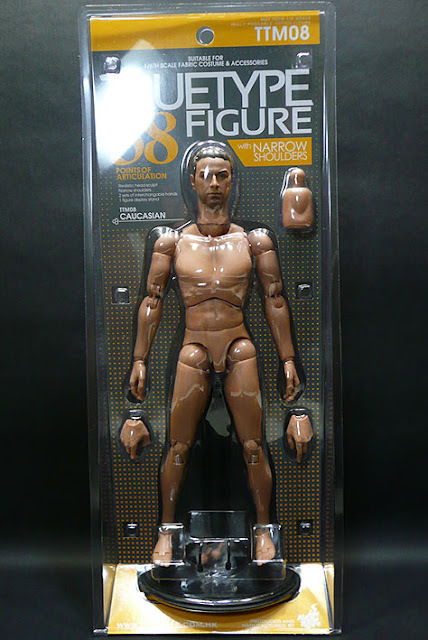 What you need to get is a Hot Toys True Type figure (caucasian) with Narrow Shoulders to complete the look. 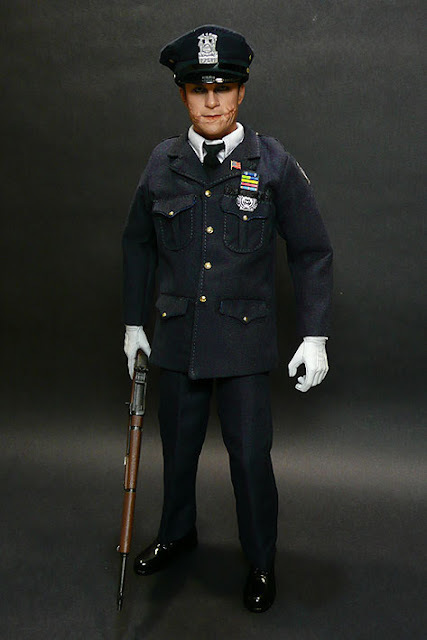 Otherwise you could strip the Joker figure that came with this set and dress him with the cop suit BUT why would you want to do that? 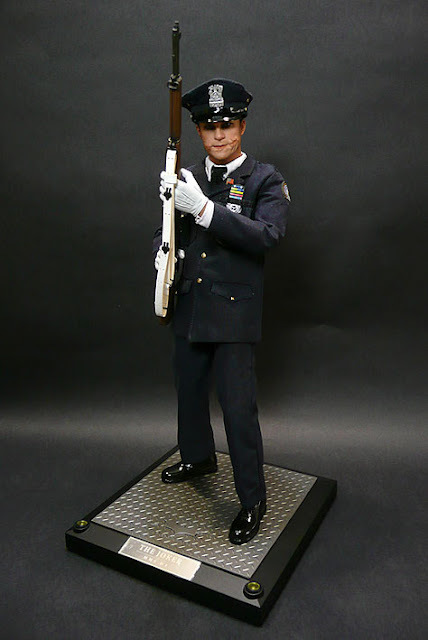 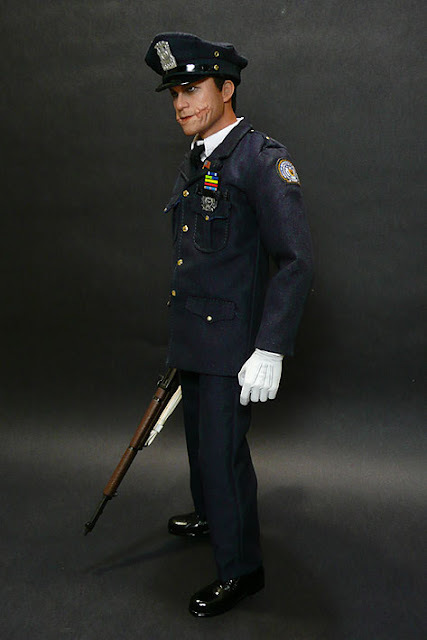 You dress the figure up with the police honor guard uniform, plonk on the Joker Cop head sculpt and you're ready to recreate the joker assassination attempt scene from the movie. 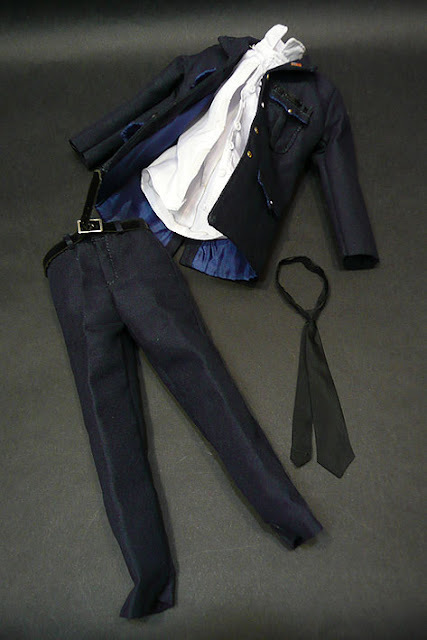 It's best to remove and put on both the shirt and jacket together (at the same time) so that the you don't have to worry about trying to get the sleeve of the shirt to align with the jacket later on as that could get quite tricky. 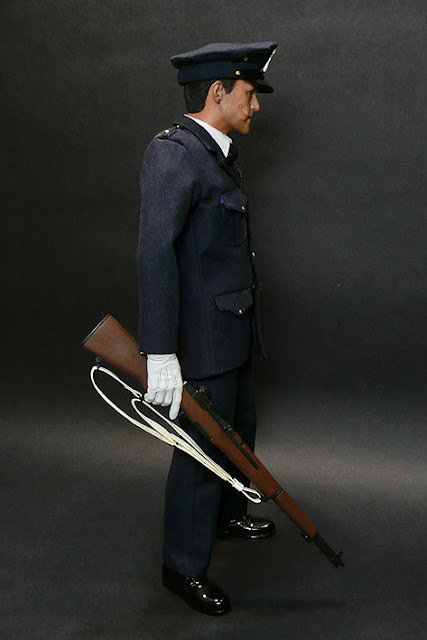 Slipping them on at the same time ensures a smoother and neater fit as you only have to adjust very slightly to get the look you want. 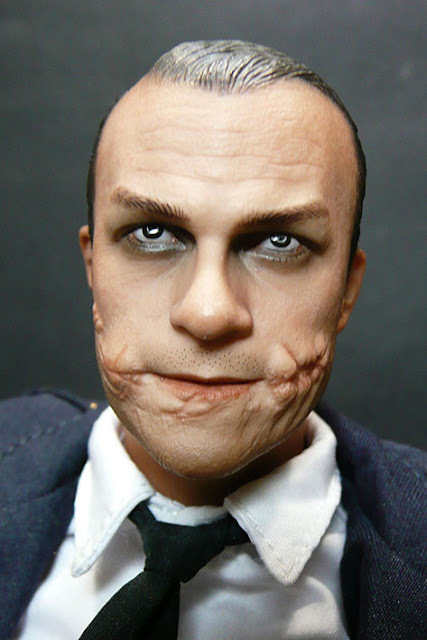 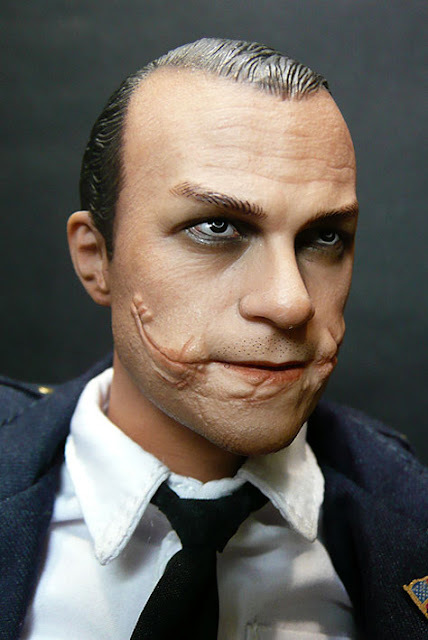 Close-up of the 1/6 scale life-like head sculpt of Heath Ledger as The Joker impersonating as a Gotham City Police officer, without his make-up but still having his scars and facial disfigurement. 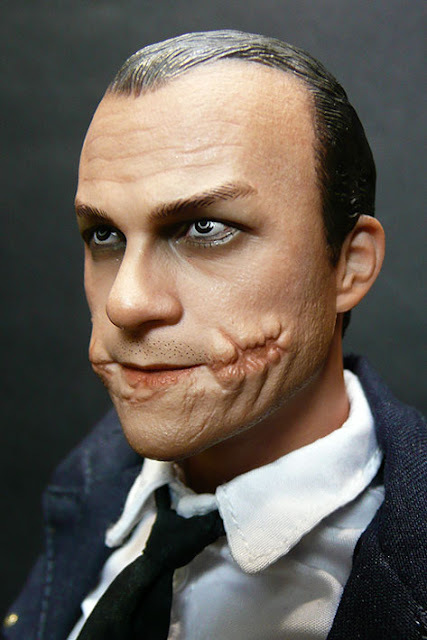 This head does not have the new Hot Toys PERS (Parallel Eyeball Rolling System) which they created as that only appears on the original Joker figure wearing his improved costume (more on that in a later post). 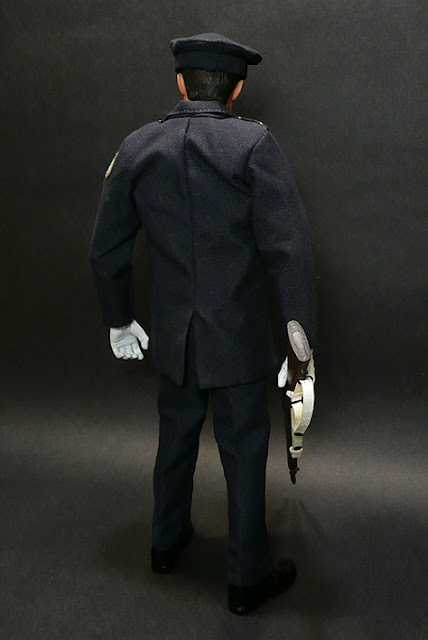 A close-up view of the Police Officer's 1/6 scale white inner shirt with 1/6 buttons but secured by velcro. 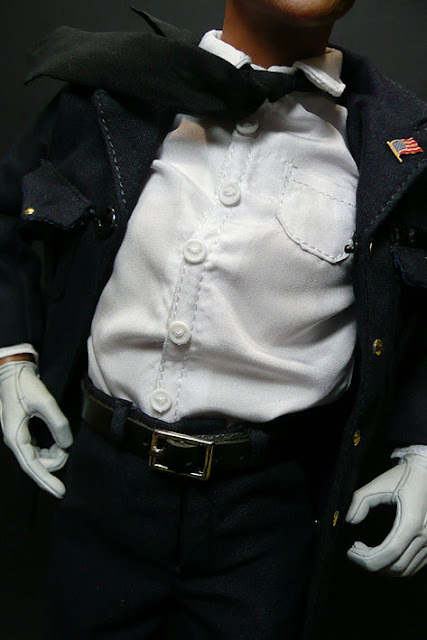 It even has a pocket. 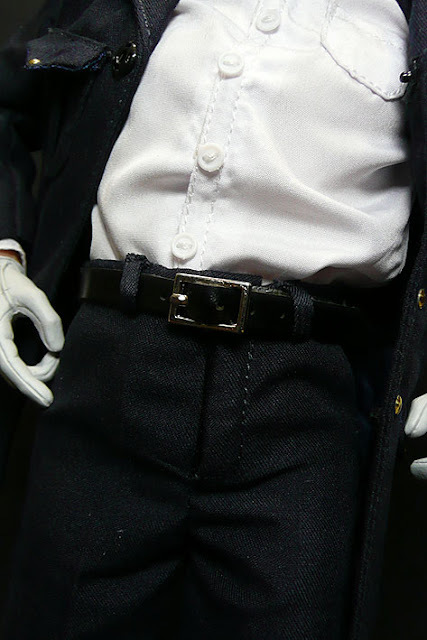 All these will be covered up by the jacket (which is secured by two snap buttons) but it's still good to know the details are all there.